Those who have been paying attention would be aware that I have recently "re-branded" myself as not merely a musician, but as a creative who works in many media. Truth is I have been writing, drawing and making films and music videos as long as I have been doing music, so I thought 2016 was the perfect year to "come out" as a multimedia artist, and start to share some of my other work. That should answer your question: "What the hell is this video doing on James Fox Higgins' Youtube channel?". 10 years, while I was studying music production at uni, I was also writing a feature film screenplay for fun, and dabbling in digital film production. I hung out with the film students on campus a lot, and even got chummy with the guy who looked after the camera and lighting gear, enough to get myself access to state-of-the-art Mini DV standard definition cameras and cracked editing/post production software. It was a very creative time for me. At that time, I wrote, directed, produced, edited, and animated this short film, "Strung!" with the help of many friends from uni. The film stars three of my fellow music students, come amateur thespians, and my adopted cat. 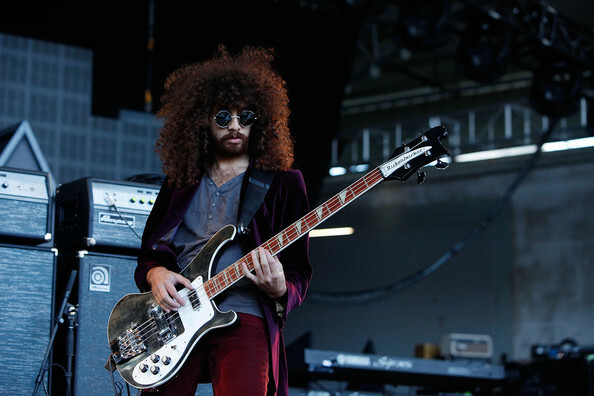 The two leading actors disappeared into a cloud of smoke when we finished uni, but the third actor, Ian Peres who played Juan (and the voice of Juan the Monkey) disappeared into a cloud of glitter, sweat and groupies after we finished uni - yes, he went on to become a world famous rockstar as the bassist and organist in Wolfmother. The film is intended for comedy and entertainment only, it's certainly not excellent work, but I spent many hours working on it... countless hours, and for some reason, when it was done, I never published it anywhere. Though thoroughly stupid, I look back at this film and it fills me with pride. This was something that I saw in my mind, scribbled down as an idea, developed into a script, storyboarded, planned a multi-day shoot around, edited, learnt how to use 3D animation software, particle emission effects, all kinds of compositing effects, I re-recorded all of the dialogue in post, edited it into synch with the film, cut it down from a 37 minute behemoth into something slightly more digestible... I saw it through. It surprises me in retrospect that I didn't release it when it was done, but I think I was just so exhausted after creating it, and a bit disappointed that it wasn't "film festival standard"... so I filed it away and forgot about it. But now that I watch it again, and remember what was involved in making it... I am immensely proud that I did something so bold and so utterly stupid as make my own film. I may never do such a thing again, but that is one thing I can certainly tick off the bucket list! So, ten years later, from the vaults... here's my one and only short film as a writer-director. Enjoy!